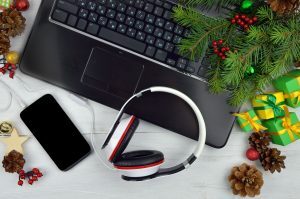 Trade Tariffs Will Affect Holiday Shopping | HOBI International, Inc. According to a new NerdWallet survey, conducted by the Harris Poll, of the predicted 93 percent of Americans that plan to make purchases this holiday season, 44 percent will be comparing prices of products more closely due to the current trade war with China. Tariffs have dominated business and economic news throughout 2018. In an economic back-and-forth between countries, the U.S. has imposed tariffs on certain products imported from China, such as furniture, consumer electronics, and home appliances. Meanwhile, China has imposed tariffs on certain products imported from the U.S. such as food items and vehicles. Due to this, about half of Americans are paying close attention to what the will be buying and avoiding this holiday shopping season. However, despite the split, some American shoppers will be taking steps to ensure they don’t overpay this holiday season. Tariffs have an impact on prices, even if not all consumers have notice this just yet, according to Thomas Prusa, a professor of economics at Rutgers University. “There is too much trade being subject to tariff to think that American consumers aren’t going to feel the effects of this,” Prusa comments. Select products, such as home appliances, have already seen higher prices. But there’s often a lag between tariff implementation and price increases, so some products that retailers are selling this Black Friday and holiday season won’t be affected yet. For those products that are affected, Prusa says the impact may be largely hidden in the prices.